Nikon Introduces Two Pro Lenses. Nikon today introduced the long-expected 19mm f/4E ED PC and 70-200mm f/2.8E FL ED VR lenses. Both have been eagerly anticipated by FX shooters, a bit less so by DX owners. Article on dslrbodies.com. 70-200mm f/2.8E data page. 19mm f/4E data page. Wrap-up of the 2016 Botswana Photo Workshop blog. A short followup on lists. Also: I’ve added some details to yesterday’s post on the Sony A6500 and corrected a few things in the database entry. Day 19 of the 2016 byThom Botswana Photo Workshop Blog. D500 users, you’ll want to read today’s blog entry. 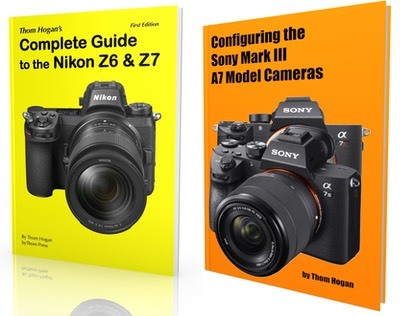 Sony Adds Two Fast Cameras. Sony today surprised many by producing an A6500 mirrorless camera, which features several key performance attributes above the current (and remaining in the line up) A6300. This new body will retail for US$1400 and be available in December in the US. Article on sansmirror.com. A6500 data page. Photoshop Elements 15 was introduced.